AUSTRALIA forecast a 20% drop in the iron ore price to an average of $51.50/t in 2018 versus 2017, said Reuters citing a government projection which was out of kilter with other analysts who cover the sector. UBS and Citi have forecast iron ore prices to average around $64/t in 2018, virtually unchanged on 2017’s $64.30 – with the market proving surprisingly resilient, said Reuters. The Australian government’s forecast is based on its expectation of rising global supply and moderating demand from China, the world’s top importer of the steel feed mineral. 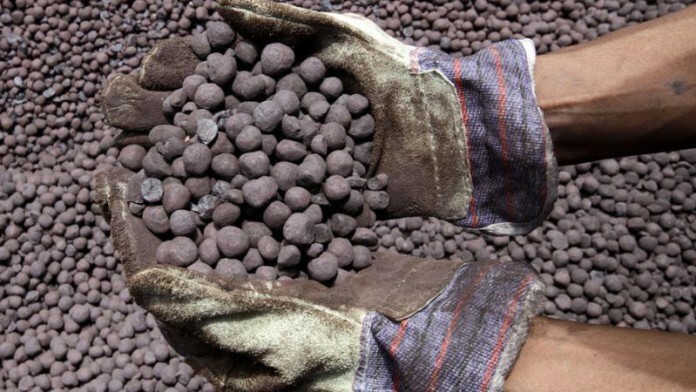 The spot price of iron ore, which is currently around $75/t, last traded below $52/t in June, but Department of Industry, Innovation and Science resource and energy analyst, David Thurtell, pointed to an expected contraction in China’s steel industry, said the newswire. “We’re still comfortable with where our forecast sits,” he said.